How can I disable my company page? 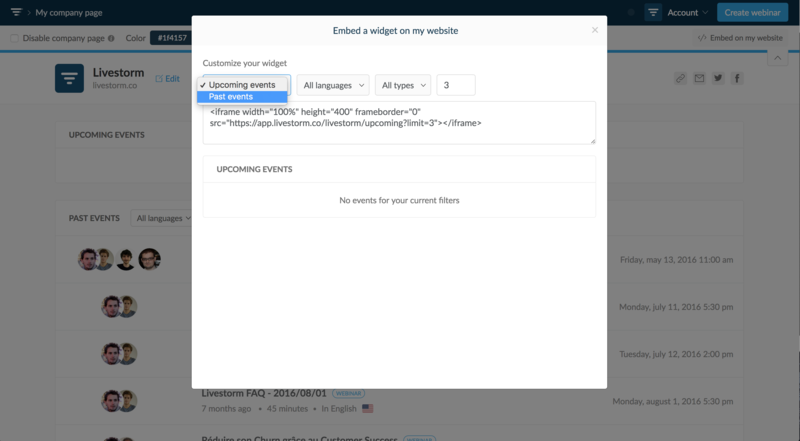 In order to disable your company page, check the dedicated box at the top left corner. 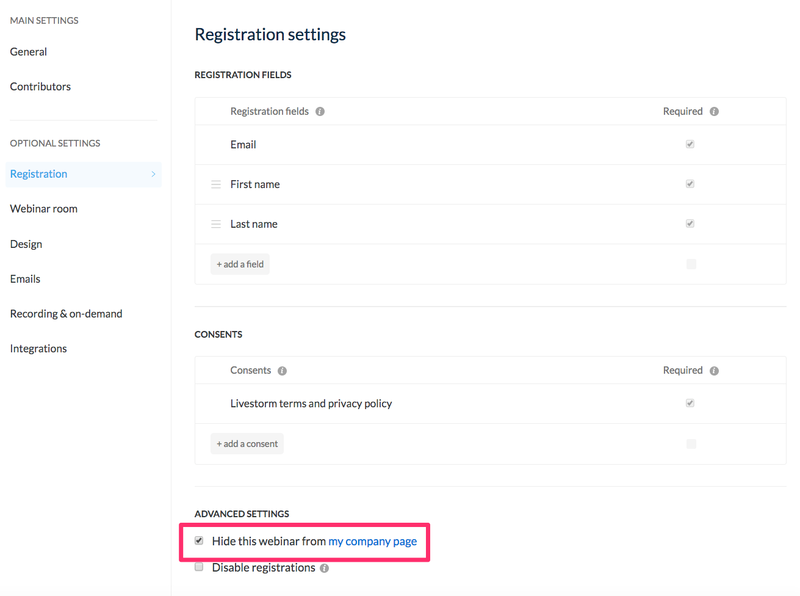 When you disable your company page it will only be visible to you. 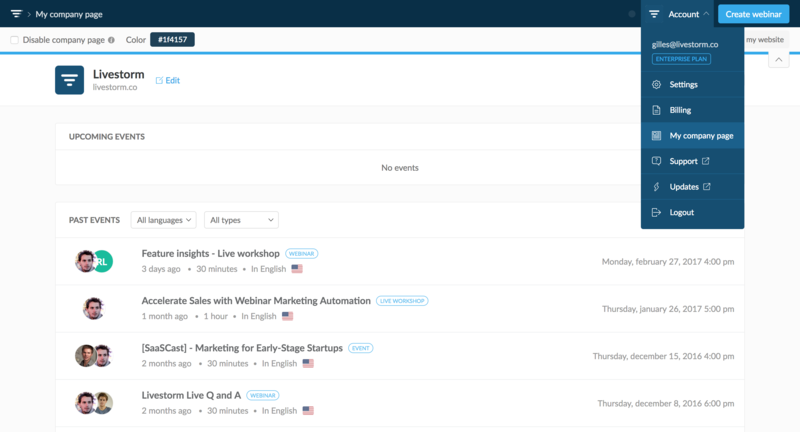 Your visitors won't be able to view all your events on your webinar registration pages either. How can I disable a specific webinar from my company page? Can I use that page on my website? Click on "Embed on my website" (found on the upper right corner) and paste the widget wherever you want. Note: to display the past AND upcoming events you will have to paste two widgets, one for the upcoming ones and the other for the past ones. 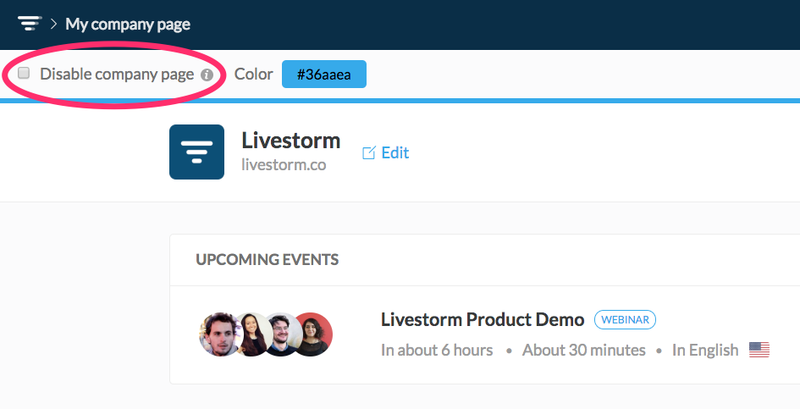 You can change the main color of your company page, this will impact your buttons and top border. Also, you can change your logo from your account settings, make sure it's in a squared format.